The court has decided. 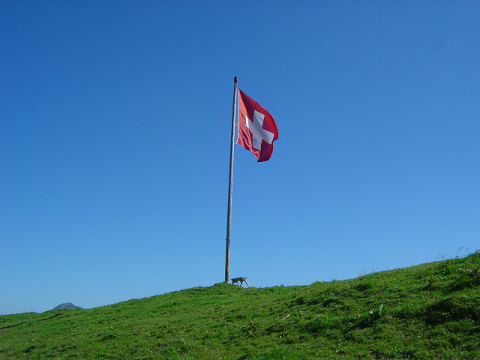 A tender would be disruptive to the Microsoft-only world of the swiss public. One of five judges disagrees and mentions that this effectively means there is no alternative to Microsoft and that this might not be what a free market is about. I can only say “Congratulations” to Microsoft. Feel free to cash in the 47 million SFR of swiss taxpayers money and look forward to a perpetuum mobile. You now own the swiss public sector. This is what competition and free market is about? The trick used here was to say that the BBL wanted to buy a defined “technology”. The “technology” however was the Microsoft range of products. By using this interpretation it was obvious that Open Source solutions cannot compete and therefore a tender was not needed. This argumentation disrespects a fundamental fact IMHO – this “technology” is not available in a market – it is *only* available from a *single* vendor who sets the price, the features and the scope. With this fundamentally flawed argument Microsoft now effectively is even free to ask *any* price for its “technology”. A single-vendor market is typically not seen as a free market. But I guess in Switzerland they have a different definition in place. Is this a wise use of taxpayers money? I respectfully disagree. Notice the trick that they use. Microsoft still uses its cult-like ecosystem to pretend that Microsoft is default “technology”; calling Microsoft technology is like calling or referring to Coca-Cola just as “beverage”. Red Hat et al. will hopefully appeal this decision if they can. This is similar to the case in Quebec — a case that Microsoft lost. The only thing preventing total collapse at the moment is the loyalty of the “partners” who are solidly locked in.